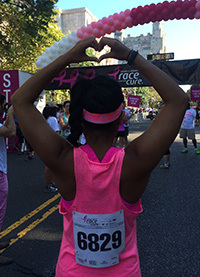 Komen Greater NYC has been at the forefront in advocating for sound public policy on the local, state and national levels. We advocate as an organization and in collaboration with others. Help us protect and ensure government programs providing cancer services - especially to underserved individuals - by working with us and the Susan G. Komen of Greater New York Advocacy Alliance, the nonpartisan voice of the 2.5 million breast cancer survivors and the people who love them. Our collaborative mission is to translate Komen's vision of a world without breast cancer into action at every governmental level so that we can discover and deliver the cures for this devastating disease. Sign up to be a Komen Advocacy Insider today! See more at our Advocacy Priorities. New York State's Cancer Services Program (CSP) provides no-cost life-saving services for the early detection of breast, cervical and colorectal cancers to low-income, uninsured and/or underinsured New Yorkers. CSP provides clinical breast exams, mammograms, surgical consultations and diagnostic testing. Eligible clients are also enrolled in the Medicaid Cancer Treatment Program for Medicaid coverage for the duration of their breast cancer treatment. The CSP operates through an extensive network of 36 Partnership organizations, including 5,000 hospitals, clinics and physician offices. Screening is key to surviving breast cancer. Women must have access to today's screening tools. As more people lose their jobs and health coverage, the demand for cancer screening for the uninsured keeps growing. Komen Greater NYC is leading the way to ensure full funding of this important safety-net program in the New York State budget.